Bragging is our forté. When a Yellowbelly entures outside of the county borders, and someone remarks about how great the food is from their area, it’s only natural for us to correct them. 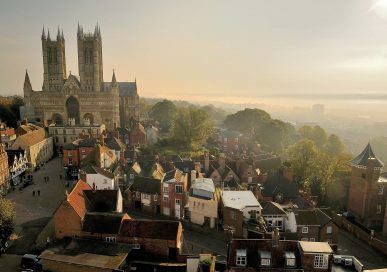 On a warm sunny day, scaling Steep Hill in Lincoln is an arduous task, but it’s all worth it when you reach Dennetts Ice Cream Parlour at the top, serving 30 refreshing flavours of delicious, dairy ice cream. Everyone is familiar with this Lincolnshire staple, but only a handful will know its rich heritage, a long history giving the company enough time to perfect their flavours. Robin Dennett is the current man in charge, proud of the company’s fabulous reputation with locals but he very modestly credits it to his predecessors. In Arthur’s time, they just sold plain ice cream – no vanilla flavouring or any kind of flavouring. It wasn’t until his son Eric, Robin’s father, took over the business that the wide variety of flavours were introduced. 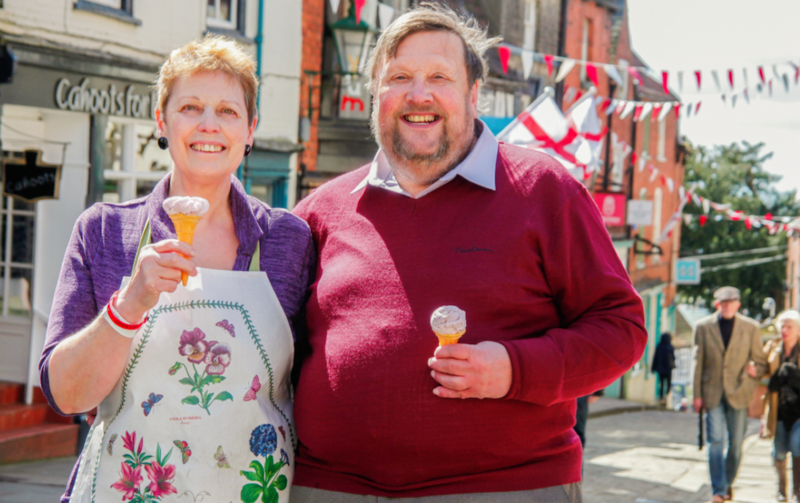 Robin and Clare Dennett, owners of the county’s famous ice cream! When Eric introduced different flavours, sales skyrocketed. It was still a new concept to have flavoured ice cream, and with high quality milk from the Friesian cows, the ice cream was delicious and started to gain its reputation. Dennetts in the 21st century has accumulated many awards from the Ice Cream Alliance and various other respectable awarding bodies, offer 30 flavours and also offer frozen yoghurt and sorbets too now. Dennetts is sold across the whole of the county largely through the Lincolnshire Cooperative. The fourth generation of Dennetts has opened a new shop called Sweet Vanilla in Spilsby selling the ice cream alongside sweets and other goodies. The fifth generation of Dennetts has just been born! Dennetts is also sold to restaurants, pubs and cafés, as well as the Kinema in the Woods and weddings as well. They have a special cart and trailer they take to weddings and fairs. In a Pride exclusive, Robin discussed the secret recipe and ingredients to Dennetts’s exceptional ice cream. After all, it’s the quality of its ingredients that makes it so special rather than the process. 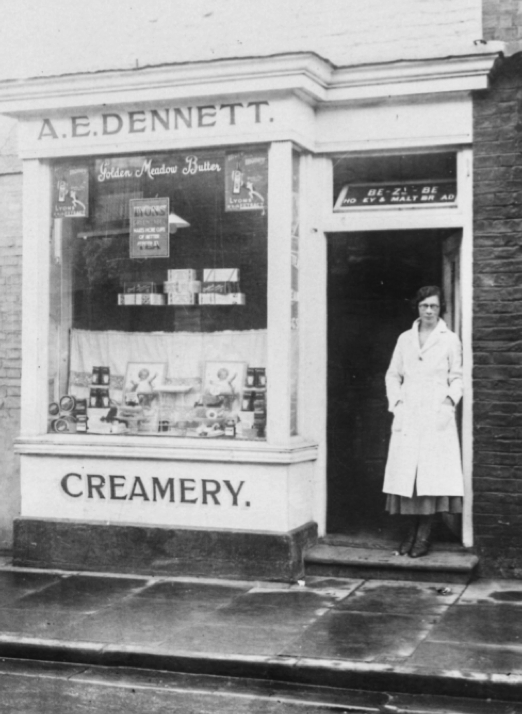 The first ever creamery in Spilsby. Although Robin’s favourite flavour is coffee, the general public still prefer vanilla. Around 25% of what Dennetts sell is simple vanilla ice cream. Their five bestsellers overall are mint chocolate chip ice cream, vanilla, chocolate, strawberry and toffee. To my surprise, rum & raisin was not on this list! In my personal opinion, Dennetts rum & raisin is by far the best ice cream around. In a year, Dennetts will produce between 65,000 to 75,000 litres of ice cream – that means Yellowbellies will consume 445,000 to 525,000 cornets a year! 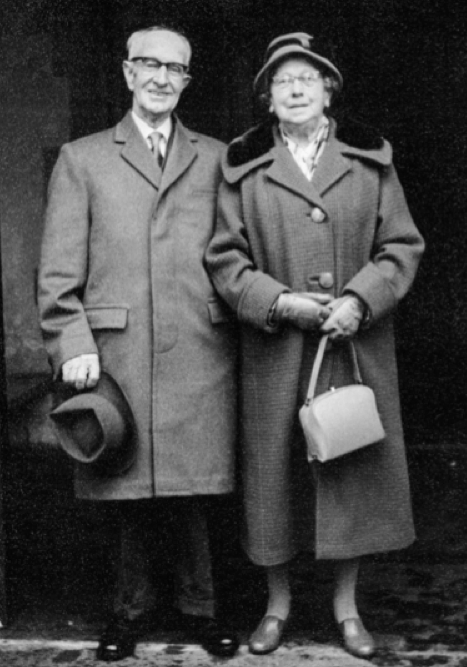 Arthur and Mary, the first generation of Dennetts. Unfortunately, Dennetts will not be at the Lincolnshire Show, but Robin will definitely be there as he is the Patron of the Lincoln Red Cattle society. He’s been at Dennetts for 38 years, but before this, he was a shepherd, and is still very passionate about shepherding. He will be providing commentary on the sheep classes at the Lincolnshire Show. 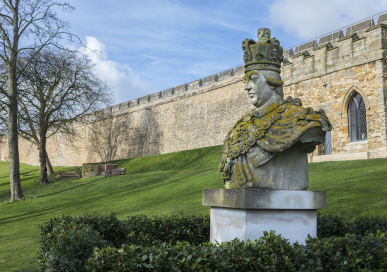 Dennetts is comparable only to the Italians in our proud Lincolnshire opinions, so next time that’s ever questioned by the Cornish, Yorkies or Devonians, remind them of our superb provisions of ice cream and its outstanding heritage and reputation in the local area. 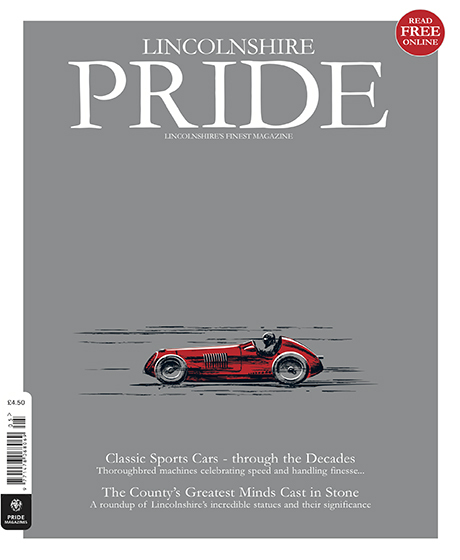 We have over 150 years of combined marketing experience We produce the highest quality county magazine in Lincolnshire. Our unique distribution targets an affluent local audience. 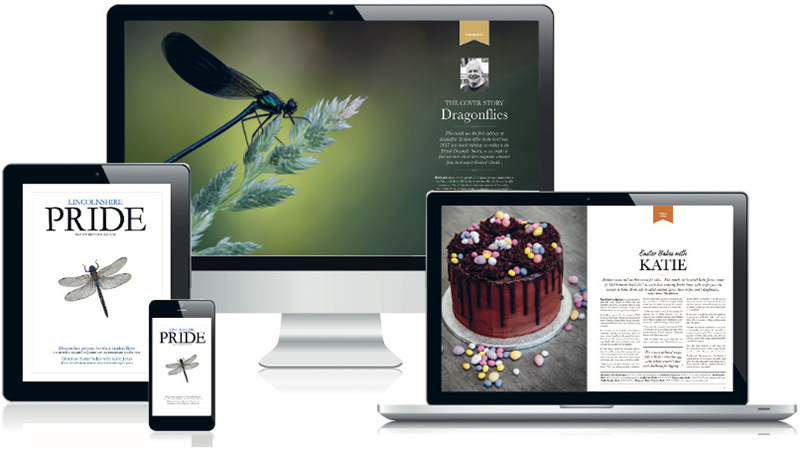 Our marketing campaigns work alongside quality editorial content.